It was 2003 and I set off on a journey which would become the book ‘In Search of Swingers.’ The point? To play golf with whoever happened to feature on the front page of the newspaper where ever I happened to be staying. If you click on NEWS you’ll see photos of these brilliantly kind nutters who let me into their homes. I started the trip in New York City, headed south through Virginia, North and South Carolina, Georgia, Florida, New Orleans, Arizona, Las Vegas and L.A. I still keep in touch with Otis and his family, though sadly a few years ago he lost his life-long soul mate, Mary. I will never forget being at the Hotel 6 in Port Arthur and seeing Otis on the front page of the paper. I called him out of the blue and asked if he would fancy a game of golf. As was the case with most of my ‘victims,’ he declined, but did offer me dinner. 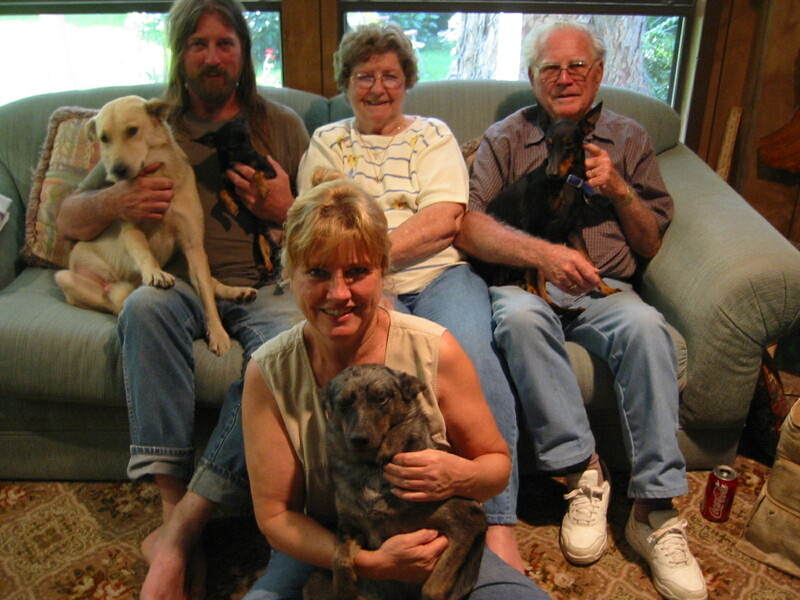 ‘I’ll be in a brown pick up truck; sure hope you like dogs.’ Half an hour later I was with Mary and Otis at their home, drinking Dr. Pepper and watching Letterman. The dogs, of which there were seven, scrapped, barked and licked my feet. I haven’t heard from Lady Iva (the 91-year-old beach queen) for a few years, which is a worry. When my first daughter was born she sent a card and gift. I’d be surprised if Iva was still around, but she had a good life. Who else can say they won a beauty pageant at the age of 91? Many of these people I met for no more than a few hours, but have been mates ever since. As for golf? Non-existent. 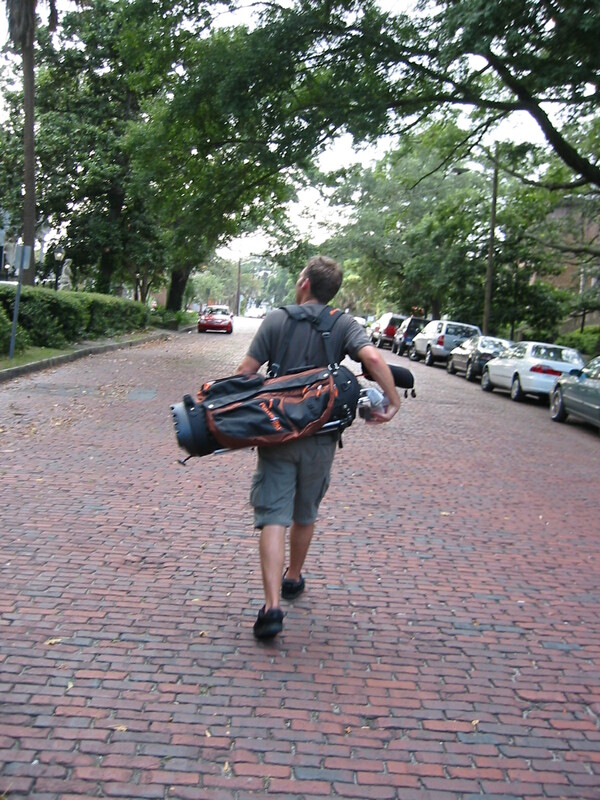 I just figured travelling all over America was a damn sight more interesting than playing 18 holes at home. …get reporters off his case. In his brilliant book, On Writing, King describes how he writes every day. He once told a reporter he skipped his birthday, Christmas, and Fourth of July, because he thought it would sound more reasonable. In truth, he writes every single day, including holidays, Sundays, birthdays, and holidays. Writing every day makes him happy. Practice brings him joy, and “if you can do it for joy, you can do it forever,” he says. If you’re a writer, muso, artist, creator – you’ll completely relate to this. Yesterday I posted a talk by John Cleese. 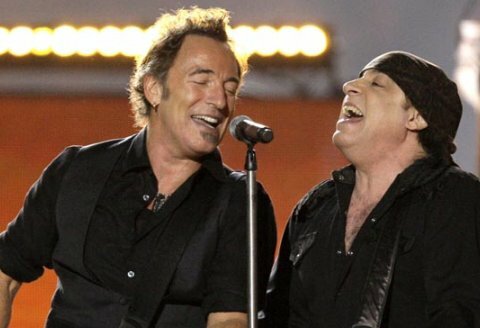 Then I remembered one by the The Boss at SXSW. It’s not short (nearly an hour) but is worth every minute if you, like me, are fascinated by the creative process and wonder how such a guy forges a long lasting career. 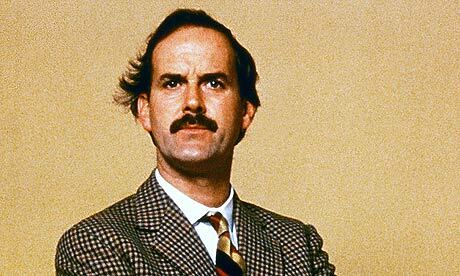 Who could ignore John Cleese’s genius? A Fish Called Wanda. Fawlty Towers. The Ministry of Silly Walks. But what makes the man tick – and how did he arrive at such lunacy? You’ll get better ideas from people who are relaxed and ready to think about ideas. Allow new thoughts in. It’s important that creative people are given real deadlines not fake deadlines. Creative people need pressure off to generate ideas. Most ideal number for a productive creative group is no more than 8. You can handle being a seagull. Knowing some days you’ll get the crayfish and others you’ll get the plastic bag. Make the most of the first and don’t stress about the second.